Is a small sensor premium compact enough to take on the Sony RX100? It's been over two years since Panasonic upgraded its premium LX lineup, which in Panasonic terms is a pretty long time indeed. The Panasonic LX3 was a smash hit across the world, proving to be very popular with DSLR users looking for a good backup camera to take everywhere. 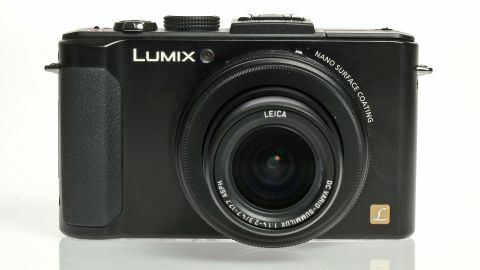 However, the Panasonic LX5 with its only modest upgrades has seemingly made less of an impact. It's fair to say that some pretty interesting innovations have arrived in the advanced compact market since 2010 when the LX5 made its debut. Fujifilm introduced the X100 (APS-C format) and the X10 (2/3-inch format) super premium compacts, while Canon launched the extremely large G1 X which has a sensor that is close to APS-C size in the intervening period. These cameras are pretty hefty though, taking them slightly away from compact territory. Instead, the direct competition for the LX7 lies in the shape of the Canon S100, which includes a host of interesting features and the more recently announced Sony RX100, which features a one inch sensor. Many will be surprised by Panasonic's decision to stick with the small 1/1.7 inch sensor, which is the same physical size as that found in the LX5. It is however a newly designed sensor, which Panasonic says is capable of delivering better performance at high sensitivities and in low light. One of the important points to remember about the LX7 is that it is able to maintain a fast aperture throughout its zoom range, rising to just f/2.3 at the telephoto end, compared with the RX100, which can only achieve f/4.9 at its maximum reach. Panasonic is keen to point out that this means that the LX7 can operate at several stops lower than the RX100, allowing for lower sensitivities. Panasonic also believes that in good lighting conditions, and similar shutter speeds the differences in image quality between the two cameras are very small, giving the Panasonic the edge in terms of overall balance. It's also worth pointing out that at £550, the RX100 costs more than some compact system cameras currently on the market, whereas the LX7, at £449 is a more affordable proposition.